It is a beautiful city, but its beauty is more natural than manmade. 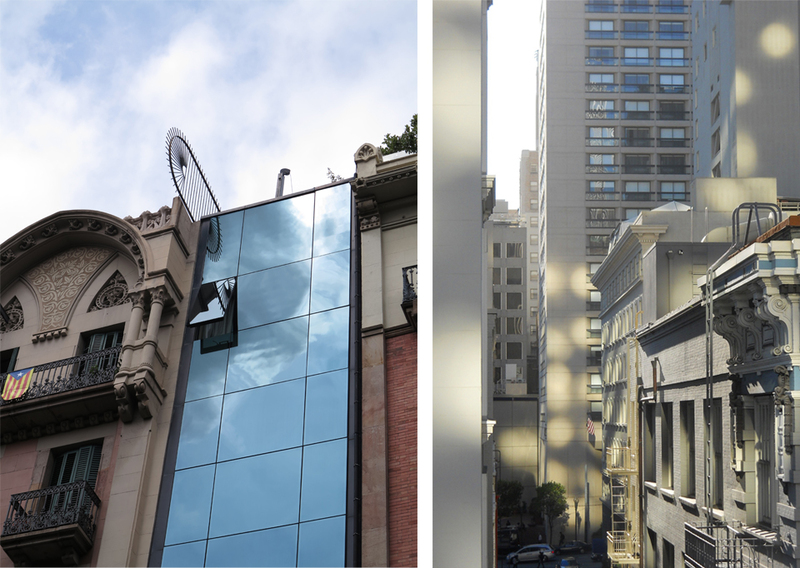 Some have theorized that topography is in part responsible for the dearth of progressive architecture in the Bay Area, and argue that at best, a building should blend in with its surroundings. More often, they say, the hand of man has stained the virgin landscape, but on rare occasions they might admit that a structure can be an improvement. The entrance into the San Francisco Bay would not be nearly as handsome without the Golden Gate Bridge. Nonetheless, we have been busy bees here, building more and more to accommodate an increasing number of people who want to live here precisely because of its natural beauty. 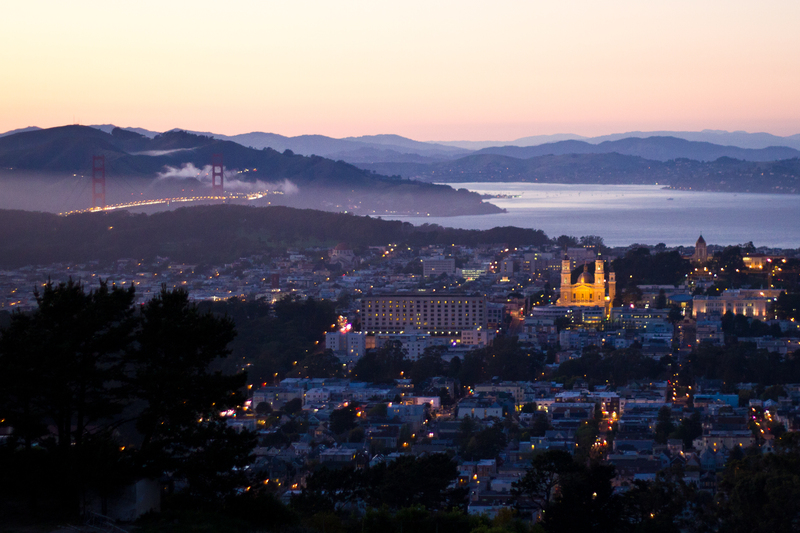 After New York, San Francisco is the second densest city in the United States. So why is a dense, socially progressive city architecturally conservative? This paradox might be explained by considering the forces outlined below – they push pretty hard from all directions. The laws of physics would say that the result is no forward motion. The laws of politics would say that the result is compromise. Not easy to push a strong design idea through this meat grinder, that’s for sure. It could be that the city has an urban fabric that was stitched together quickly and uniformly a hundred or so years ago. Blame our famous 1906 earthquake and fire for that. There are still large sections of the city where most of the buildings date from 1908-1910. Streets in these sectors of the city are charming, lined with individual buildings that have acquired the patina of time. The historic preservation movement is strong in San Francisco, plus everybody likes old buildings; they are architecture’s comfort food. As a consequence, certain enclaves are very resistant to change and seem to be encircled by a kind of architectural “Do Not Disturb” sign. Europeans seem to be less bothered by modern interventions into cities much older than ours, and in the right proportion, a strikingly new can make the old even richer. Not surprisingly, there are a lot of activists in San Francisco, and a lot of wealth, too. The framework of our local government allows anyone to have a voice, especially on issues of city planning. For example, the city was down-zoned by voter fiat in 1986 amid fears of “Manhattan-ization’ –height limits were lowered, in some cases well below the tops of existing buildings, and a cap was placed on the amount of office development allowed each year. Zoning laws from this era are still on the books, so even modest buildings proposed in the urban core need all kinds of special agency approvals and variances. A myriad of masterplans and re-zoning ordinances have been layered onto the 1986 land use laws giving special interest activists pretext to oppose just about anything. Some seem to do so for sport, and as a result, developers are reluctant to take even a modest risk on any design that leans towards the avant-garde. However, policy is now shifting. Smart urban planners are advocating smart-growth, and density is no longer a four-letter word. San Francisco’s resilience during the recent recession has been driven in part by a demand from people who want to live and work here. “Disruption” is the new buzz-word, but our new architecture (with a few exceptions) is anything but disruptive; for the most part, it is well-tailored, and, well . . . conservative. Our planners are intelligent, thoughtful, and opinionated. Controls they have enacted in the past few decades have allowed San Francisco to resist changes that have led to banality and decay in many American cities, especially those in the West. Local, small scale business still thrives here, and it is said that one could eat at a new restaurant every day for two decades. The city invented the “parklet”, where a formerly metered parking space is converted into an urban mini-park. 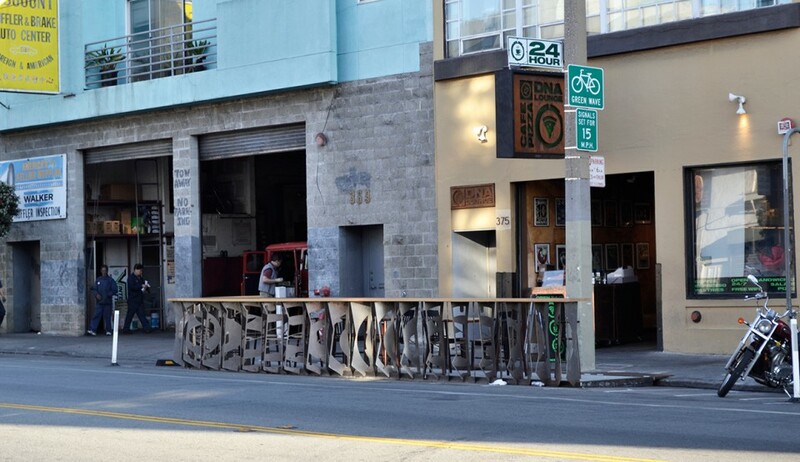 San Francisco has around 50 parklets, and its Pavement to Parks program has inspired urban design all over the world. How progressive is that? But when it comes to buildings, planners here give us architects way too much help. They meddle. As bureaucrats they must pay heed to the forces of special interest groups, their superiors, politicians, and various civic power brokers. Some planners are architecturally idealistic and push designs toward the latest fashion while others are nostalgic and push in the opposite direction. All are trying to ensure that each new stitch in the urban fabric is defensible. Planners are the gate keepers, but once a design has survived the process of cracking the gate open, the journey has just started. In San Francisco, almost every project over 25,000 square feet in area must go through design review at public hearings. New York’s as-of-right pencil skyscrapers would get stubbed-down here in a nanosecond. Public hearings at City Hall on design issues are probably the best entertainment value in the country. Architects (and their clients) are pitted against special interest opponents who often retain other architects to “suggest” alternative designs. Intelligent, thoughtful, and opinionated commissioners opine, conditions of approval are meted out, and the final design may or may not reflect its original intent. Most often, a project is declared a success when the outcome leaves all of the stakeholders equally dissatisfied. Not that every building needs to be an architectural monument – foreground, by definition, requires background. But both foreground and background should be high-quality design and need not be conservative. Good architecture has a timestamp that reflects its societal context, not necessarily bygone eras of its neighbors. A hallmark of a socially progressive environment is diversity – we need diversity in architecture, too. No matter how hard the forces push in opposing directions, entrepreneurial influences will continue to stimulate development in San Francisco for the foreseeable future. As O. Henry said of New York City, “It’ll be a great place if they ever finish it”. Change is indeed the only constant. Special interest activists, planners, and commissioners should relax a little and let us architects do what we have been trained to do. We love the city, too. Let the surgeons operate; when the procedure is over, and you wake up, it will be o.k.